These following observations are based on the mathematical matrix of BioAcoustic Biology developed over the last twenty years by the Sound Health Research Center located in Albany, Ohio, USA. The system allows for the evaluation of any aspect of the body and biochemistry in terms of numeric pathways, aka Frequency Equivalents™. Research efforts at the Institute of BioAcoustic Biology often evaluate clients who exhibit gluten sensitivity along with a myriad of associated diseases. In light of this new information it was imperative that this data be added to their analytical software databases. The three proteins identified by the Anderson study were translated into BioAcoustic bio-frequency biomarkers*. The resulting numeric matrix showed that the metabolic pathways influenced by these proteins were linked to nearly all systems of the human body; causing immune distortion, acute cellular inflammation and disruptions in cell communication. The original article listed three proteins, w-5 gliadin (wheat), g-3 hordein (barley) and g secalins (rye) that were implicated in the production of specific anti-gliadin antibody reactions. These proteins, which have been proven to be responsible for allergic reactions, are associated with grain glutens from which they are derived. Patent records indicated many grains seeds being produced for market are GMO’s developed and patented by a multinational agricultural biotech conglomerate that is attempting to make their grains impervious to weed killers. Could this confirm that the present day epidemic of grain related sensitivities/allergies stem from laboratory modified seeds? These distorted, allergy causing, “engineered” grains are being used to create foods that we eat everyday; bread, cereals, chips, crackers, pastry, seasonings, even some packaged chip products contain gluten. BioAcoustic Biology matrix correlations revealed how thoroughly our health is being negatively influenced by these genetically modified foods (GMO’s). Further investigation revealed that the engineered grains contain two substitutions that distorted the way the body processes two sulfur rich amino acids: proline and glutamine. Disturbances in these amino acid substitutions result in the impedance of the methylation of these two essential nutrients. In mammals, GAD exists in two isoforms encoded by two different genes – Gad1 and Gad2. GAD1 and GAD2 are expressed in the brain where GABA is used as a neurotransmitter; GAD2 is also expressed in the pancreas. MSG is also used as a stabilizer in some vaccines. This could account for the reported increase in autism associated vaccination damage. “This may be one of the decade’s most important ‘connections’ between food and genetics. By showing the frequency relationships among substances normally found in healthy people, you have confirmed that the potential for GMO harm is very real,” states Ralph Fucetola, JD and health freedom advocate. Sharry Edwards, the recognized pioneer of this emerging technology states, “I expect this information will be the impetus that opens the world to the potential of BioAcoustic Biology and the hope of allowing access to Self Health care via easy-to-use software; even after the appearance of a disease process”. Questions: Are GMO producers aware of the damage to health that is being caused? Shouldn’t those with cell signaling issues be warned about ingesting these glutens? Why are GMO producers and the US government boldly attempting to prevent package warnings that would notify people that they were eating GMO products? Is it greed, ignorance or a misguided attempt to improve our food supply that is in fact poisoning our food, our population, and our genetic pool? Is this assault on our food supply intentionally creating a future that will keep us ill and medication dependent? The FDA, the organization that conspired with California bureaucrats to attack raw milk distribution centers over the past two years, has just announced it will not ban BPA. The FDA says there isn’t enough evidence of BPA being harmful to humans (that’s a lie) and therefore it cannot be justifiably banned. The real story here, however, is that the FDA routinely allows toxic and even deadly chemicals to remain legal in the food supply while working to ban dietary supplements and nutritional support products that are actually good for you. The FDA, for example, hasn’t outlawed aspartame, MSG, sodium nitrite, partially-hydrogenated oils, high-fructose corn syrup or even petroleum-derived artificial colors. Instead, it focuses its regulatory power on outlawing Chinese Medicine herbs, nutritional supplements and natural sweeteners. For example, it was only recently that the herbal sweetener stevia was even tolerated by the FDA. For decades before that, the FDA would seize all imports of the herb and even order distributors to burn their recipe books containing stevia recipes. Meanwhile, the FDA has never met an industry-sponsored toxic chemical it didn’t like. Whether it’s BPA, or sodium benzoate, or fluoride, if Big Pharma or the chemical industry is behind it, the FDA magically and consistently declares the chemical to be good for you! 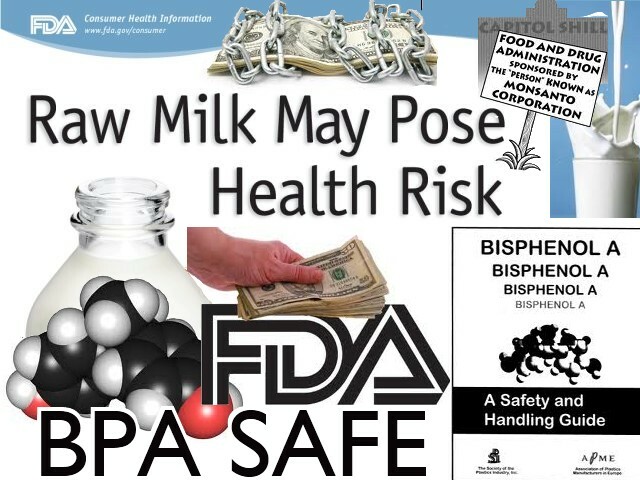 Author LissPosted on April 3, 2012 January 1, 2018 Tags Big Pharma, BPA, FDA, msg, raw milk, sodium benzoate, sodium fluoride, sodium nitrite1 Comment on FDA Says Fresh Milk Is Dangerous, But Chemical BPA Is Perfectly Safe! Researchers found that people who eat more MSG are more likely to be overweight or obese. And the increased risk wasn’t simply because people were stuffing themselves with MSG-rich foods. The link between high MSG intake and being overweight held even after accounting for the total number of calories people ate. Ka He, a nutrition expert at the University of North Carolina, Chapel Hill, who led the study, said that although the risk of weight gain attributable to MSG was modest, the implications for public health are substantial. “Everybody eats it,” He told Reuters Health. 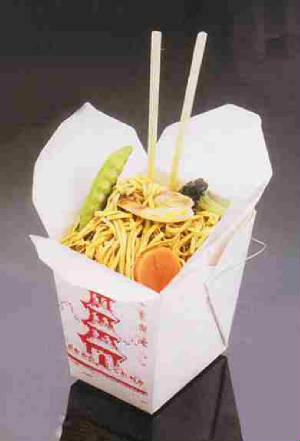 MSG is one of the world’s most widely used food additives. 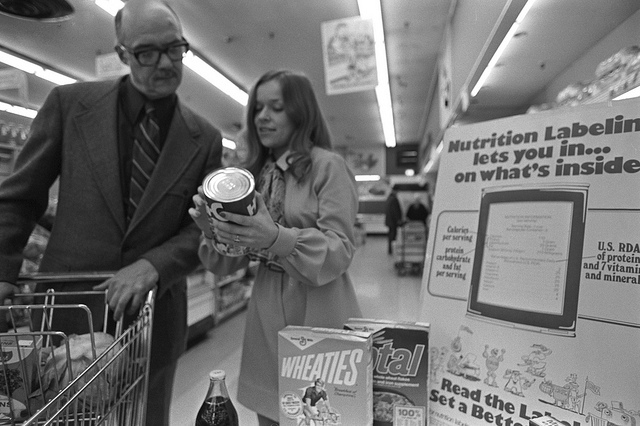 Although it tends to be more popular in Asian countries, Americans manage to get their share in processed foods, from chips to canned soups, even when it’s not labeled as such. Related: What Foods To Avoid?